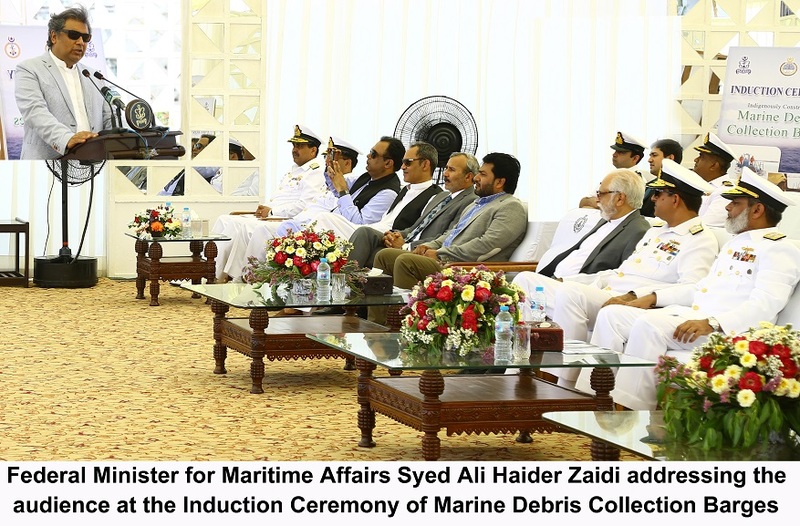 MINISTER FOR MARITIME AFFAIRS, SYED ALI HAIDER ZAIDI LAUDS ANTI MARINE POLLUTION INITIATIVE BY PAKISTAN NAVY DURING INDUCTION CEREMONY OF MARINE DEBRIS COLLECTION BARGES. 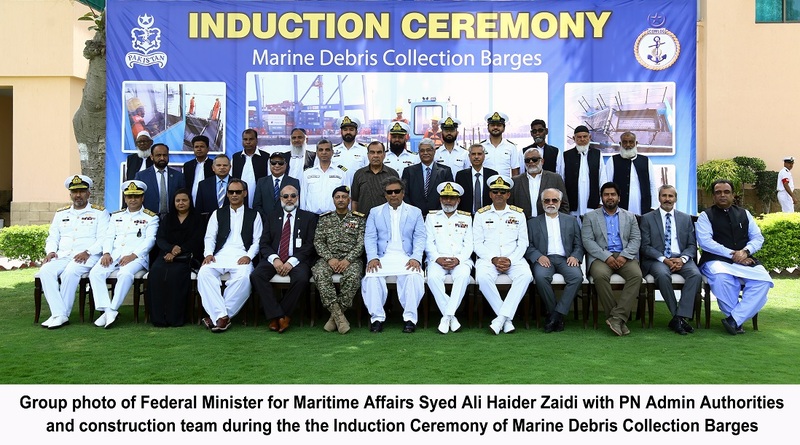 Induction ceremony of Marine Debris Collection Barges (MDCBs) was held at Pakistan Navy Dockyard, Karachi. Federal Minister for Maritime Affairs, Syed Ali Haider Zaidi graced the occasion as Chief Guest. Dignitaries from maritime domain in both public and private sectors attended the ceremony. After the ceremony, practical demonstration of harbour cleaning through ‘Trash Collection in the Hopper’ by the newly constructed Marine Debris Collection Barges was also carried out. Upon arrival at Pakistan Navy Dockyard, Chief Guest was received by Commander Logistics Rear Admiral Adnan Khaliq. During his address, the Chief Guest underscored the importance of neat and clean harbours/ environment and emphasized the need to address the issue of marine pollution on priority. The Minister lauded Chief of the Naval Staff’s vision to promote and jump start ‘Blue Economy’. 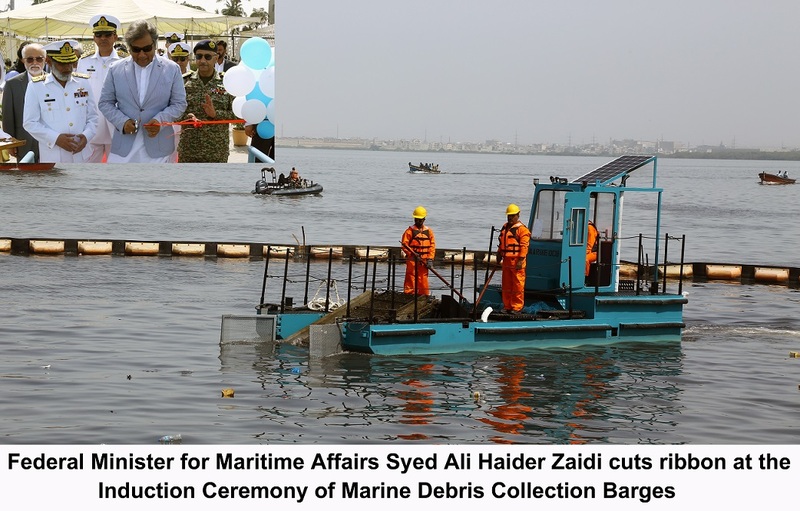 While appreciating PN initiative towards indigenization and self reliance, Syed Ali Haider Zaidi ensured the support of the Govt to promote such initiatives in development of technology to overcome grave issues of marine pollution. 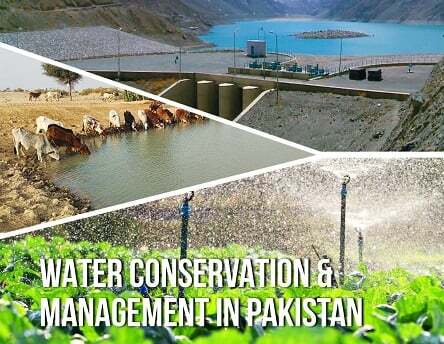 In line with Prime Minister’s vision of Clean & Green Pakistan, PN has always endeavoured to create awareness about marine pollution and spearheaded various initiatives. This initiative of harnessing contemporary technology by indigenously designing as well as manufacturing of Marine Debris Collection Barges at PN Dockyard is a testimony of Pakistan Navy’s resolve for achieving pollution free harbours. Induction of these state of the art Marine Debris Collection Barges will greatly augment the harbour cleaning capability which was previously undertaken through manual/ conventional means. Initially, three Mechanized Conveyor Belt Marine Debris Collection Barges have been constructed at PN Dockyard as a pilot project. It is envisaged that other stakeholders of Pakistan's maritime sector will also come forward and emulate this effort by contributing towards this noble cause of achieving cleaner harbours with enormous spin-offs for marine sector.